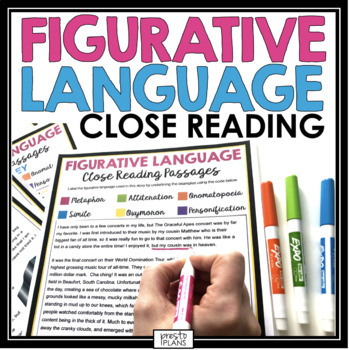 Figurative Language Close Reading: Use these 10 original, high interest stories in your middle and high school classes to help students show their understanding of common figurative language/ literary devices. 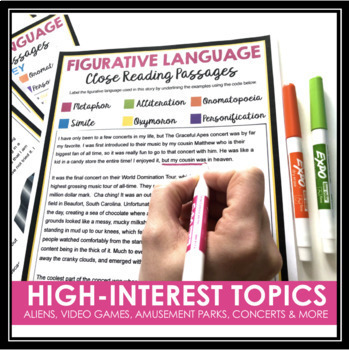 Students will find examples of personification, metaphor, simile, onomatopoeia, oxymoron, and alliteration! 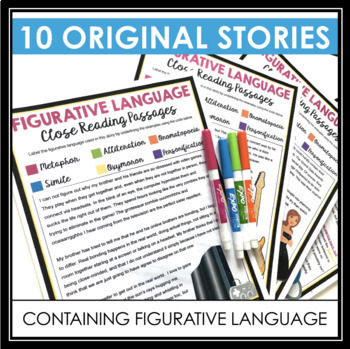 10 original stories that have students color code examples of figurative language they find. The stories are high-interest and cover topics like video games, amusement parks, school dances, birthdays, concerts, and more! 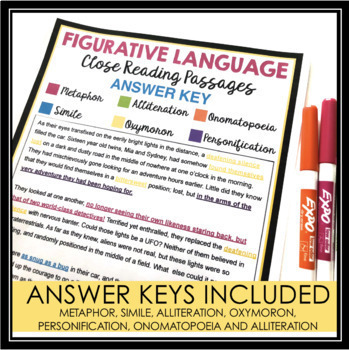 Detailed answer keys for you to mark or review the answers with your students.